How Dark Do You Dare to Go? Once you experience an amazing spray tan, there is always a temptation to take the colour intensity up a notch at your next appointment. Darker can sometimes be better, but how dark is too dark? The answer really depends on your skin tone and your definition of dark tanning. Medium and olive skin tones can get away with a lot more colour than naturally pale skin tones, but there are always exceptions to the rule. If you have light skin but want a dramatic transformation into a bronze goddess for a special event that night, take a risk and go darker. As long as you stick to spray tan products with colour bases that flatter your skin’s undertones, your results should look healthy and natural. 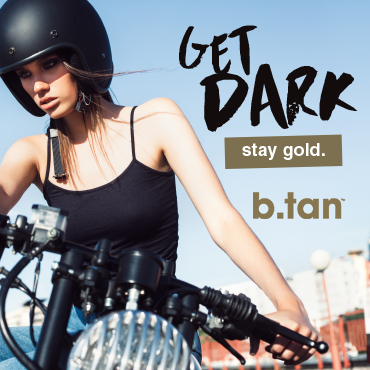 Inspired by rich Brazilian shades, Mine Tan’s new range of Ash Base Tans create deeper, darker colours than any other tanner on the market. Spray tan products from the Ash Base Tans collection blend black, Japanese charcoal and brown bronzers in ultra-dark formulas that develop into a smooth ebony colour with traces of cool espresso hues. Infused with quadruple bronzing technology that adjust to individual skin tones, Ash Base Tans are the ultimate go-to range for dramatic colour that looks surprisingly natural. Start with lighter spray tan products if you are a beginner. 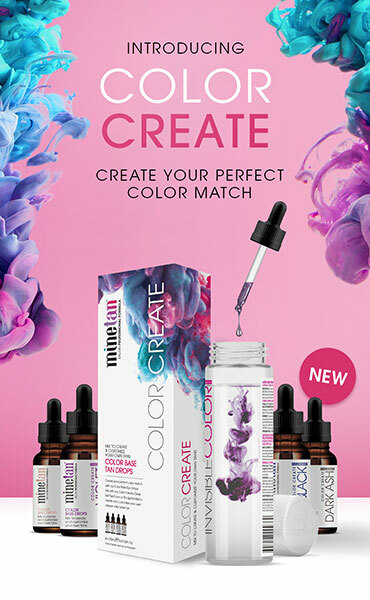 It is a lot easier to build colour than to take it off, so you should stick to lighter hues until you are sure that you are ready to try darker solutions. If your skin is naturally very pale, choose a medium tan for when you want dramatic results. Dark colour can be tough to pull off if you have light skin with pink undertones. Try a temporary dark tan with instant bronzers and bronzing powders. Since it is difficult to recreate a deep spray tan with bronzers alone, keep your results realistic by adding layers of bronzers to a medium base tan. Talk to a specialist. If you get your spray tans done at a salon, ask your technician if dark tanning formulas can work for your skin tone and complexion. What Should You Do When Your Spray Tan is Too Dark? Exfoliate your skin with a powerful body scrub and an exfoliating mitt to strip some of your colour quicker. For best results, take a hot shower or let your skin soak in a hot bath before you exfoliate. Remove dark colour with a high-quality tan remover. Make sure that you apply it all over your body to lighten your tan evenly. Moisturise your skin when you are done to prevent dryness and irritation.